It’s hard to believe this school year has come to an end. It seems like just yesterday a new group of Kindergarteners were starting their first day of school. Now they have graduated and there will be a new group of Kindergarteners in the Fall. The Fourth Grade students have graduated and will be heading off to Intermediate school. This year has been phenomenal (even if it started off a little rough due to Hurricane Harvey!). 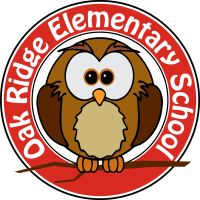 There were many fundraisers and other PTO sponsored events, and the Oak Ridge Owl Families really showed up in full force and made each one successful. In doing so, funds were raised to provide items for the school such as publications for the classrooms, a new scale for the clinic, a new refrigerator for the Teacher’s Lounge, Staff Appreciation Luncheons and other gifts, various other needs met in the school, and most importantly this year, the funds needed for the new playground equipment that will be installed this summer! A HUGE THANK YOU to each and every one of you who helped with the fundraisers and attended Spirit Nights and other PTO events throughout the year. We couldn’t have met our goals without you! It has been an honor to serve as PTO President this year. I had a great team of Board Members and I couldn’t have done it without them. I’ve gotten to know many of the students, their families, and staff members at Oak Ridge Elementary. My daughter will be moving on to 5th Grade next year, therefore, I must go as well. I will cherish the memories and friendships I have made.